In the context of videogames, ‘bullet hell’ is a lovely term for a subgenre. Should it need explaining, it is a game where the player is inundated by enemy projectiles and must rely on a range of special abilities, some steely hand-eye coordination, or a combination of both to overcome a seemingly endless barrage of attacks that leave limited room for manoeuvre. Over the years, the genre has expanded to include games where the player must shift their colour to dodge or destroy enemies and projectiles of a corresponding shade of fuschia or blue leading to a very specific fandom that seeks to almost be punished by difficulty. 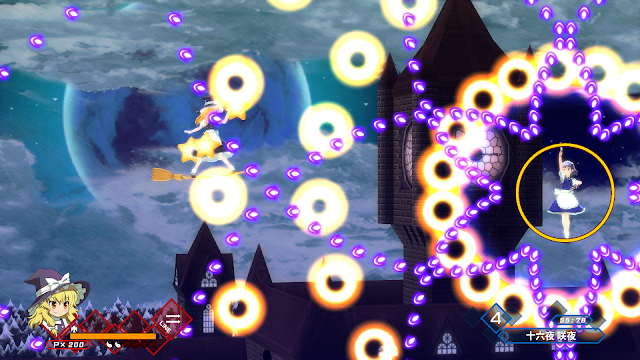 Azure Reflections on Nintendo Switch is billed as another, perhaps more traditional type of bullet hell, you either dodge projectiles, fend them off with magic attacks of get obliterated off your broomstick. It is a very Japanese plot of witches, mischievous fairies and magical human girls battling across enchanted woods, libraries and magical realms as you fire basic projectiles at a standard and seemingly limited number of enemies before a much more bruising boss battle. In fact, the game’s bosses, largely witches and disgruntled magical wielders of varying colours are a much larger part of the game then the standard enemies encountered through numerous game worlds. The localisation of the game’s text is amusing enough, but riffs on the same theme of anime characters talking smack to the player about being woken from a slumber when confronted. This then is my personal first foray into a genre that has long fascinated me as a gamer. Yet on its individual merits, it honestly fails to sell me on this particular style of bullet hell. 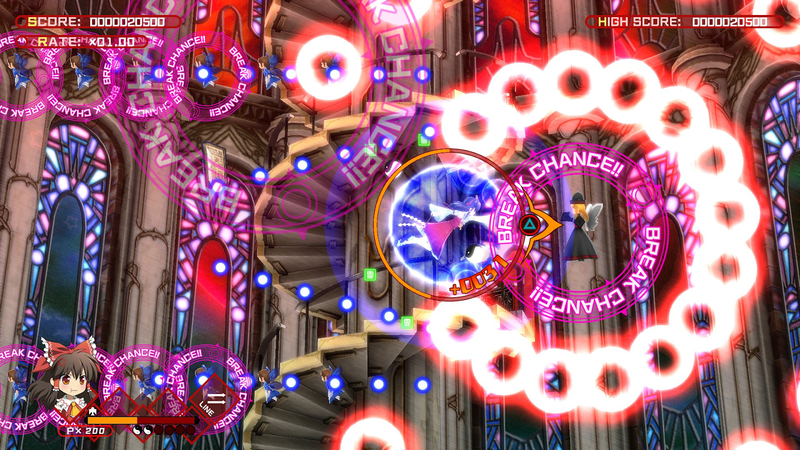 An optional tutorial is offered at the game’s title that is a sign that the game’s seemingly simple surface hides much more complex mechanics in terms of how one survives the oncoming bullet hell. Beyond relying on a player's instinct to try and avoid colourful projectiles that at times comes from all over the screen, there is a limited charge attack, known as ‘Danmaku Rush’ that provides temporary invincibility and can be customised to lock on to targets. This ability is limited to a recharging power bar and is vital to finish off bosses and other powerful enemies when their power is significantly depleted. 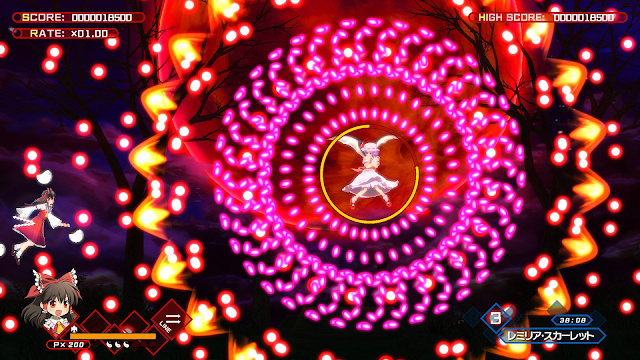 Hitting bosses with the rush when they are highlighted in a purple circle affords an additional magic bonus. These can be used again to protect the player and transform nearby bullets into power-ups, yet their use during a boss appears to prevent you gaining further powers. This feels a slightly cheap tactic considering their importance to survival during tense moments. However, these odd mechanics do slowly start to make sense after a playthrough or too – although this is a different experience to actually mastering them. Despite the magical setting of the game, the tutorial, like its overall graphical design is somewhat functional and stripped back, strangely lacking in personality, despite the care taking for the anime-style text dialogue. To its credit, some of the lighting and colour effects on your enemies attacks are entrancing and quite thrilling as you hit a ‘focus’ button that slows your movement, and seems to make you more adept at snaking in and out of different projectile types to avoid detection. One notable attack traps you in a circle of projectiles that fire outwards and require the player to avoid drastic movements, or otherwise risk flying into the projectiles generated outside of the sprite. A little more invention with these type of attacks would be welcome. Strangely the game’s collision detection is not so much linked to your character sprite, but a much smaller chain of beads around their waste. The player is charged with ensuring this bead chain avoids enemy projectiles which should make dodging easier. Yet in the heat of the battle, this creates some confusion and is a little hard to instinctively learn when your perception and coordination is focused on the game sprite. This somewhat limits – for me at least – a sense of achievement in playing close to the wire when trying to enact some daredevil dodging. I would have liked a little more variety, certainly the game’s early stages in the types of enemies and settings, particularly in the inclusion of mid-levels in each new world that have a similar limbo-esque aesthetic. It is unfair to perhaps compare it to more traditional side scrolling shooters such as the Gradius games and their extremely Japanese culture-infused spin-off Parodius, both made by Konami, which were major hits in the 80s and 90s. Both these series had a satisfying sense of variety in terms of their obscure worlds and boss bottles, as well as how a player chose to power up their character that had a welcome sense of customisation when progressing. Parodius was idiosyncratically Japanese, yet at the same time, strangely accessible even when a player is not fully understanding the setting or reference. 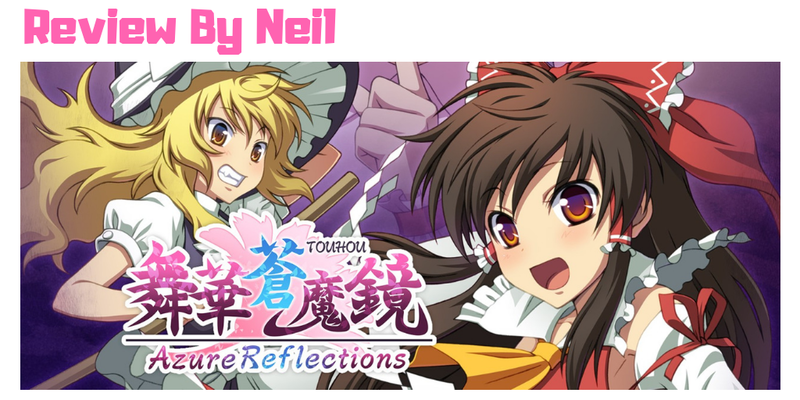 Azure Reflections has its own customisation system whereby you can obtain rabbit ears, moustaches and eye patches for your character to grant them new abilities. These can be obtained through in-game currency earned through more successful and daring runs through the game. It does create a welcome sense of reward, to come back for further playthroughs to try and limit the overall difficulty and push on a little further. In fact, after multiple playthroughs, the fairly limited visual flourishes and design of the main player and powers ups made a lot more sense when you consider that keeping your eye on the background or enemies is essentially inviting death. The majority of the game is spent intensely plotting where your character is in relation to the enemy projectiles and looking for hopeful gaps and directions to travel in to try and get back into shooting range of a boss. At times, these projectiles are fiendish and unforgiving, which oddly is also the most thrilling and valuable parts of the game, until you are faced with a almost solid blast of projectiles. Surviving a barrage of attacks and having an enemy come back into your line of sight holds a simple appeal that highlights the durability of older game genres when submitted to new technology, as you try and successfully ‘graze’ bullets. This is the term used to describe the practice of flying impossibly close to projectiles, indicated by in-game sounds. However, this mechanic could be made to look and feel more visually arresting and feel more significant. Throughout the many hours put into the game for this review, I could never quite escape the fact that my success was not necessarily down to my own skills and careful timing of limited abilities, but an uncertain system of hit detection. If a player is going through bullet hell, they should surely feel every success and mistake. I was also hoping too for some more dynamic abilities and options of play for how you can overcome a shed load of bullets being hurled at you. This may partly be down to a lack of experience with the genre and style of game. 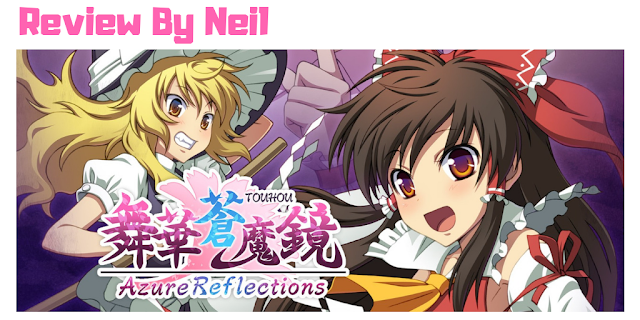 Yet I was looking for Azure Reflections to bring me in and sell the concept and sadistic joy of bullet hell a little more than it did. I wanted to feel that mastery of the game was possible with a little more practice and some new abilities, rather than the slight slog that it became. At £19.99, the game straddles the line between budget title and a more full priced game and I found the price a little disconcerting for the uninitiated, yet there lies a basic appeal in here from the almost old school appeal of quick reaction dodging, I just wish it felt a little more solid when grazing luminous donuts of death and malicious pixy dust attacks. 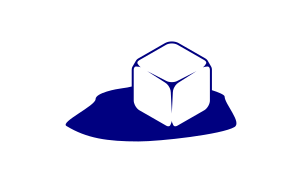 The Games Freezer site has a special three tier rating for games that ranges from a great game with broad appeal, an interesting title mainly suitable for existing fans of a genre, and those type of games that should probably be avoided outright. It is arguable that every game should be recommended to genre fans, but this rating feels particularly apt for Azure Reflections. It is a game that will likely have an appeal to bullet hell veterans with somewhat stripped back gameplay, but within it best moments there is a sense that with a little more thought, it could bring a whole new audience into this style of game. Perhaps the genre’s very appeal is a fairly narrow one, based on an almost sadistic level of challenge, yet this feels like a missed opportunity on a platform such as the Switch to create an initially more accessible title that has a more subtle approach to ramping up and preapring a player for more ludicrous challenges. This side scrolling bullet hell game for the Switch has a stripped down look that feels a little underwhelming at times even with its anime stylings. It is a functional game with an old school, almost sadistic sense of challenge that encourages the player to enter into a rhythm like concentration, yet the whole experiences feels slightly shallow, especially for newbies.